I have been a student of Jungian psychology for two decades. My field of study, in addition to Jung’s primary texts, the Collected Works, included other pioneers of depth psychology: Freud, of course, Adler, Lacan, Klein and Fordham, among others. I have also studied a vast amount of the secondary literature. I have during that time, in the spirit imparted to me by my first Jungian mentor, Châtillon Coque, actively applied the Jungian principles or theoria, in the pursuit of a more refined consciousness, reified identity and the denouement of Jungian practice, individuation. This study and practice whilst not without challenges by any means, has been unbroken for twenty years. The minimum time, according to Gladwell, it takes to achieve mastery. I make these points by way of introduction, not to narcissistically parade my achievement, such as it is, but to mitigate and contextualise what is to follow. An admission, a confession of error, one might expect from a novice rather than one pretending to mastery. I don’t claim mastery, but it does seem important to make the point that the thoughts that follow have taken no small amount of time and practice to incubate. I am, like most of you, I trust, frustrated by problems. Irrespective of different tolerances and the specific character of our respective problems, as human beings, we share a universal desire to resolve such problems that beset us from time to time. So, it is that I came to Jungian psychology hoping it may help me to resolve my “problems”. These were, or so it seemed to me at the time, legion. I felt deeply frustrated at my inability to navigate beyond certain sticking points in my life. And, whilst I cannot say how exactly I formed the impression, I arrived at the discipline in the belief that it could offer a solution to my problems, a way out, some type of resolution. Now, the power of the mind is such, that even when one is given a placebo believing it medicine, one can experience symptomatic relief. That combined with a sympathetic community of like-minded souls, who shared a penchant for grappling with existential dilemmas, and the charisma of my teacher, reinforced my belief that this was a methodology, a highly effective methodology, mind you, for achieving my goal – problem resolution. And, it would be dishonest not to acknowledge, that indeed many of the problems I had coming into the Jungian milieu were resolved! There was some low hanging fruit, that a somewhat clearer thinking process, plus the newly found support of my teacher and the school, allowed me to resolve and move through relatively quickly. To be sure, the psyche is never quick, but all things being equal, over a period of about seven years I experienced significant personal transformation. On one hand this was fantastic. It was after all what I had arrived hoping to achieve from my encounter with Jungian psychoanalysis. It had a shadow though. It entrenched the illusion I had arrived with of framing psychoanalysis as a problem-solving modality. And, when over time certain problems remained intractable, despite my continued application and even refinement of the principles I had applied with such great effect in the early years, I found myself, not only frustrated about my problems, but also frustrated about my psychic impotence in being unable to resolve these problems. Not only that, but the resolution of the old problems and the consequent shifting psychic paradigm, allowed new problems, previously unimagined, to arise! A dilemma to be sure. All of this, dear friends (if you’ll forgive the familiarity), was a beginner’s mistake! The glaring error in my thinking will, no doubt, be obvious to those more familiar with Jungian psychoanalysis. And, to those, if you read this with a wry grin, I forgive you. For the benefit of those new to Jungian psychology, remedial students such as myself, or any general idiots reading this, I will explain the error and its implications – at least as I understand it. The science or art, depending on your perspective, of psychoanalysis, did indeed begin as a problem-solving modality. It’s discovery, the “talking cure” was accidental. The famous first case being that of patient zero, Anna O. It’s value as a systematic methodology and the accompanying theoretical elaboration was by the genius of Sigmund Freud. Its intended application being various forms of hysterical symptoms, what we would now refer to as “neurosis”. It was and continues to be a most effective treatment modality in such cases. Whilst, like any therapy, its efficacy varies, its success rate is sufficient to have ensured its survival, growth and global influence over the last century. Its application considered invaluable not only in psychotherapy but also in many branches of the humanities. In that sense then, my initial assessment of depth psychology as a problem-solving tool was not entirely incorrect. However, as I hope to demonstrate to you, that is by far the end or even the most important aspect of any serious engagement with the unconscious. Beyond, problem solving: the deeper significance of Jungian theory in opening up a dialogue with the unconscious. Jung, an early adopter of psychoanalysis and collaborator with Freud, broke away from narrow Freudian theory, i.e. classical psychoanalysis. This theoretical split turned on Jung’s alternate characterisation of the unconscious as not essentially pathological. Jung understands and describes the engagement with the unconscious as something greater and more meaningful than the treatment and alleviation of neurosis. Jung following the tradition of Romanticism, sees the unconscious as the element of untamed nature in a (wo)man’s soul. The divine flame. The source of imagination, inspiration and intuition. The well from which life and creativity are eternally replenished – except when they’re not, when the ego consciousness becomes dictatorial, inflated and unable to see any perspective beyond its own narrow scope. Jung’s great realisation is that the ego left to its own devices, get stuck. Jungian psychology sees the unconscious as irreducible to the cause of neurotic symptoms and the dialogue with the unconscious as essential to individuation. In other words, the engagement with the unconscious is about more than fixing any single or even set of problems. The fixing of problems (neurosis) is secondary to the raison d’etre, the process of individuation. What then is the character of this engagement, if not essentially problem solving? I will describe two principle types of engagement, both being aspects of the individuation process and flip sides of a single coin. The first is the act of symbolisation, or what Jung also refers to as discovering your myth. Whilst this is not the focus of this post, it would be remiss not to mention it in describing the Jungian opus. This is the process of locating one’s identity within the symbolic register, both personal and collective. An ongoing discourse between the conscious and unconscious registers, for the discovery or production (perspective dependent) of ever more refined symbols. Symbols to most appropriately express and contain one’s psyche or soul. The other type of engagement Jung describes as the Mysterium Coniunctionis, the synthesis of opposites. Put another way, this is the problem of the “other”. Coming to terms with difference, polarisation, resistance, separation and union. We are all acutely aware of the challenges and opportunity for growth presented by relationships. Relationships, for those open to them, are powerful catalysts toward growth and transformation. And, by extension, individuation. A relationship is so profoundly transformational and also frustrating, precisely because the other has a different opinion, perspective and paradigm to you. A relationship takes you beyond yourself. At least, if you allow it to. If you insist on being constantly right, on the other hand, and always having your own way, no doubt your relationships will be short lived or sterile affairs. What we learn from Jung and other depth traditions is the unconscious constitutes an internal other. As such, the discourse and engagement with the unconscious is relational and dialectical. The unconscious is not the same as your conscious paradigm, i.e. you as you know yourself. It is through a lifetime of engagement with this internal other, the soul, which is distinct from you as ego – your conscious identity, that the individuation process unfolds. This dialectical process between the conscious and unconscious follows the classical structure: thesis-antithesis-synthesis. In other words, the conscious perspective (thesis) is constantly challenged by an opposite and opposing unconscious antithesis. Through the engagement of these two opposites, Jung tells us, and in line with dialectical theory, a transcendent third (synthesis) arises, which is neither of the original polarised thesis-antithesis but something wholly new. So, and here is the kicker and what I missed repeatedly for the last two decades, despite repeatedly circumambulating this idea. Problems are an essential part, not only of being human, but more specifically of the actual individuation process! As long as one is alive and pursuing greater consciousness and an amplified perspective, the unconscious expresses its antithesis to your conscious thesis by way of intractable problems. Of course, I learnt that twenty years ago when I first encountered Jung! It is Jung 101. But somehow, I remained entrenched in an egoic orientation that saw these problems as steps or obstacles to be overcome, navigated.… whatever, to a future problem-free existence. But that is not in fact the deal. As long as one is pursuing this path, the dialectic process will perennially provide problems for proposed solution. The nature of that solution varies, sometimes it is a problem that can be worked through and sometimes not. Where the problem can be worked through, good and well. In every such case though it is not just that the problem goes away. The solution requires you, as the subject of the problem, to evolve beyond where you were before the solution. And, where the problem cannot be worked through, it is rather about re-identifying yourself so that the problem is brought into the ambit of a new identity and consciousness. One that can accommodate the problem, so that life and the flow of libido can be restored. Both scenarios facilitating the individuation process. I’m not sure how that lands for you, but speaking for myself, it is a profound insight. One simultaneously liberating and exceedingly difficult to hold onto when one is in the furnace of the problem. There is a thought experiment from a philosopher by the name of Robert Nozick that helps to illustrate this point. He asks us to imagine an “experience machine” also sometimes referred to as a “pleasure machine”. This is a machine designed by sufficiently sophisticated neuroscience-technology, to give us a simulated reality, indistinguishable from organic reality. This machine allows the subject to programme in the coordinates of the simulation, i.e. everything you have ever dreamt of your life being and more, your wildest fantasies. And, here’s the genius, you can add a programme coordinate that entails you do not know this has been programmed by you, so you experience it as absolutely real. The catch is, once you enter the experience machine that is your life. There is no path of return. Now, Nozick asks, given such an opportunity, what would you choose: the immaculate universe of the experience machine or messy real life? Do you choose to live out your fantasy life, albeit designed with the built-in limitation of your current conscious paradigm and imagination, or do you stick around with the rest of us in this highly contingent and messy organic world, where all bets are off as to what tomorrow brings? Take a moment to think about it.. I am not sure how you answered the question of course, but the vast majority of people who have participated in this thought experiment, given sufficient time to reflect on it, decline the option of substituting their actual reality for the experience machine. Now that is interesting, is it not? At one level it is counter intuitive. The reality of the experience machine is psychologically indistinguishable from actual organic reality. Once in it, you wouldn’t know that it is a simulation. The biggest difference would be that in the experience machine, you get exactly what you want. So why not choose it? Nozick used this to refute utilitarianism, the idea that maximising pleasure and minimising displeasure is the ultimate good. Suggesting, among other things, that it showed people prefer actual experience over a simulation, which is somehow unreal. Whilst this speaks to the point I want to make, I have to add a qualification. Nozick developed this idea in the seventies. Today our inherent prejudice to simulated environments measured against organic natural environments is waning. This shift in the zeitgeist is, at least partially, because the lines between these two have already blurred so much. The WWW, social media, gaming and mobile phones already have us spending a lot of time in simulated worlds. And as we all know, this is an exponentially increasing metric. Nevertheless, and notwithstanding this shift into simulated environments, the vast majority of people I ask this question of, would still decline the experience machine. Why? In the experience machine you would get everything you want. So why not choose it? I claim the reason is because, at some level, we all realise the very limited horizon of our ego personalities – our conscious mind. Although we are usually unconscious of this belief, we have a greater trust in the wisdom of the contingent universe (our creator if you will) than in our conscious selves. We rely on contingency, chance and fate, to guide us, to facilitate the unfolding of our lives and character. We are not as clever as we typically think we are. But at some unconscious level, we are clever enough to know that. We trust something beyond ourselves, in Jungian terms, the unconscious, to guide, lead and instruct us. That is the real reason why, given the chance, we would decline the experience machine. By way of conclusion. We trust the unconscious and the unconscious’ primary form of dialogue with the conscious personality – you, as you know yourself, in other words, is through the presentation of challenges, or problems, for your current conscious paradigm and ideology. It is through engaging with these problems that we grow beyond ourselves. So, unlike me, I encourage you to embrace your problems and to see them for what they are: opportunities to grow beyond yourself, to be bigger, more mature, more beautiful, more honest and more individuated. The cliché has it right here, every problem really is an opportunity. Outliers, Malcolm Gladwell, the 10 000-hour, rule. A matter or situation regarded as unwelcome or harmful and needing to be dealt with and overcome – OED. Some of us are more philosophically disposed than others, and better able to process and come to terms with certain intractable frustrations, obstacles, issues etc. Other’s tolerance for frustrations is lower. I’m not sure where exactly I am on that continuum and perhaps it doesn’t matter, at least not to the issue I want to highlight in this short post. Albeit, and important to note, not the typical encounter. I was taught a method of self-analysis, rather than entering into classical analysis. Not in in a vacuum of course. For a detailed history on the origins of the unconscious the go to text is The Discovery of the Unconscious, by Ellenberger. But the significance e of Freuds role in the early development of psychoanalysis, allows such a characterisation as being not without truth. Mark Saban, Clinical Concepts lecture, 2018. The process of becoming whole and individual or individuated. Becoming a whole human being. The “symbolic register” is a Lacanian term, but appropriate in this context. The cost of being right. – Michael van Rensburg. Or several, if we give credence to the notion of reincarnation. I appreciate that this is not self-evident and requires unpacking. However, to attempt that with in the context of this post, would a bridge too far for this post. This issue requires a post of its own, which I hope to tackle in due course. Two points worth noting here: based on the artificial intelligence and technological revolution we are living through, this will almost certainly be a reality in the not too distant future, i.e. an experience machine. And, the simulation hypothesis, suggests we are already living in a simulation, although not of the kind Nozick proposes with his thought experiment. 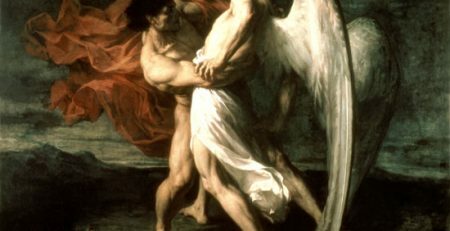 As one who is aware of the Jungian individuation process, but not intimately familiar with it, I think this article is very interesting. The concept of evolving above the problem at hand is fascinating, especially if it involves some form of dialogue with the unconscious. Internally, I find it rather clear (at the age of 69) to identify which problems I am equipped to deal with, and which problems require some personal evolution, or perhaps actually initiate that evolution. In any case, I enjoyed reading this very much. Thank you. I am pleased you found it worthwhile. Thank you for the feedback Joel. I find it inspirational that the flame of individuation continues to burn so brightly in you at a mature time in your life. As a sidebar, towards the end of his life, Jung lived to be 86, Jung purportedly said, I am a greater mystery to myself now than I ever was! Agree that at the age of 70 I am a greater mistery to myself now than I ever was. But do I really care?? The cliche. “I know nothing” suites me just fine. I am not concerned with anything anymore. Thanks Stephen. Because of my limited knowledge of psychology and its jargon I have not understood everything you have written. But my interest hasn’t waned. Savina thank you for these thoughts. I very much appreciate your continued interest in the discipline. It is true, it is a process of learning a new language. The language of the psyche. Hmm…brilliant post and I so appreciate your transparency and your dedication to this work for yourself and for others who learn from it. I hope this won’t upset that apple cart–well, actually I am hoping to do so as I am a disrupter, because I see the possibilities of lightening speed change and that includes the process of transformation that takes place within the process of individuation. The theory and I’ve experienced in practice in my own life and with my clients–is that all “problems” are a reflective mirror of our consciousness… that’s not to say that all circumstances and events in the world happen in reflection, as some believe and profess, but our attention to it in a focused way, or the repeating pattern of the same “problem” over and over, is a reflection of our consciousness. Sponsorship is the mechanism that creates a new experience–either the “problem” then does not repeat itself in your experience or your relationship to it shifts. Said another way, the problem isn’t even the problem, it’s our orientation to it that creates the “difficult” experience for us. It is triggering something in our consciousness that has not yet been witnessed, named and sponsored. It is the fastest way I know of, to transform stuckness in life–which is always predominantly in a person’s consciousness, rather than outside of themselves. As for mastery–you certainly are a master where you are and there is no final mastery if we’re all always evolving–no place to arrive but the beginning of another layer, journey and level of mastery. Sail on and enjoy the ride. Thanks for this value add comment Miriam. I agree we are saying something quite similar, if not the same. I like that phrase, “the solution is the problem un-sponsored.”. Although,interestingly, I first read it as, “the problem is the solution un-sponsored” which also rings true for me! Agreed, mystery is what makes this journey as numinous as it can be. That and the need for some epistemic modesty, means we must of necessity remain a mystery to ourselves. Great Article, Stephen, and a true synchronicity moment for me. Thank you! My pleasure Elaine. Thank you for the feedback and glad it was timely. Thank you for the gift. Not only for the time and effort it took to write this excellent post, but most of all, thank you for sharing the wisdom that for sure we have no way to pay back. I am part of a small study group going through Jung out of curiosity. We are thinking about creating a blog to share ideas and treasures that we find along the way. Can I share your text with my group? Thank you for your feedback and kind words. You most certainly can Jose.